The mass shooting in Las Vegas gives us cause to review resources that can best prepare us to react to this type of tragedy, according to Emory's Office of Critical Event Preparedness and Response (CEPAR). "We hope that members of the Emory community never encounter an active shooter. But we also believe it important for all of us to take steps that will improve our individual preparedness, improve our chances of survival and foster a disaster resilient community," says Alexander Isakov, CEPAR executive director and professor of emergency medicine. CEPAR has posted a video that reviews key steps that individuals should take if they encounter an active shooter. The video — which depicts a graphic dramatization of a workplace shooting that could disturb some viewers — emphasizes that survival may depend upon whether you are aware, prepared and have a plan. View here. Be aware that law enforcement first responders are usually not there to assist the injured, but to stop the shooter; help for the injured is on the way. Once law enforcement arrives, remain calm and follow instructions. Keep your hands visible at all times and avoid pointing or yelling. Making the decision to report a potential threat can be difficult. At the same time, we all have a shared responsibility to identify and report concerning behavior. "What we see may be one piece of a much larger pattern of behavior," explains Sam Shartar, CEPAR senior administrator and a member of the Emory Threat Assessment Team. "By reporting what you know, you help inform decision-making. We’d much rather hear about concerns, evaluate them, and offer support services than not hear about an individual or situation until a crisis." 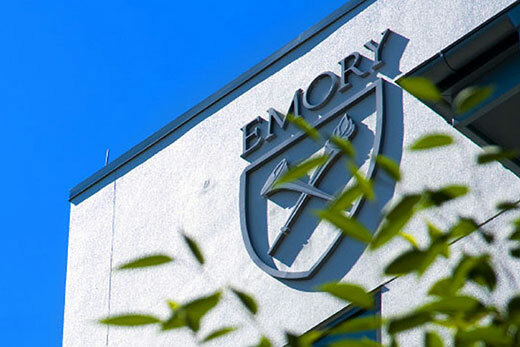 The Emory Threat Assessment Team receives, assesses and responds to information on perceived threats to the safety and security of university students, staff members, visitors and property. The team’s goal is to identify concerns in their early phases and to work collaboratively with all parties before problems escalate. The team seeks to remind the campus community that it is always a good habit to trust your intuition, especially when dealing with a potentially threatening situation. Listening to your gut and reporting a person or situation that is of concern to you is critical to preventing violence. It is natural to rationalize or deny that a concern or threat may exist. Remember that you may only be seeing one part of a larger picture, and coming forward may be critical for bringing awareness to a potential threat. Any emergency situation where a person may pose an immediate risk of harm to self or others should be reported immediately to law enforcement by calling 911 or dialing the Emory Police Department directly at 404-727-6111. To report a concern about a student, please contact the Division of Campus Life (404-727-4364). To report a concern about a faculty or staff member, please contact Human Resources (404-727-7611). For more information on how to be prepared, visit www.emergency.emory.edu.